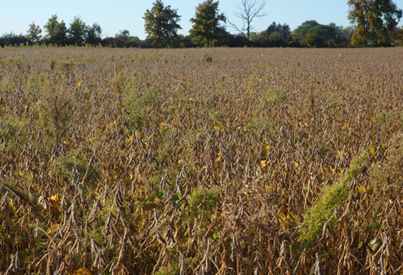 Corn and soybean harvest is what you are focused on now, but next year’s weed control should also be at the top of your priority list. Not only should you take notice of what weeds you can see from the combine, but also take time to find what you can’t. Beneath the dropped leaves and crop residue are next year’s problem weeds already growing. 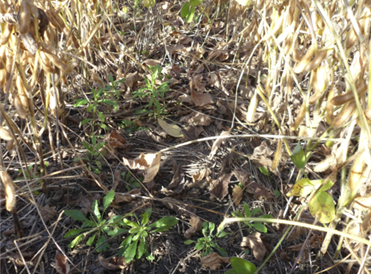 Many of the Marestail missed during spring burndown are the ones that germinated the previous fall. 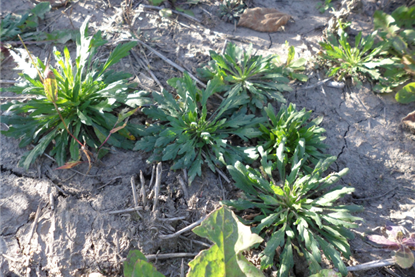 Marestail is germinating and growing now along with winter annuals like Dandelion, Henbit and Morning Glories. Effective Marestail management is a 3 step process: Fall burndown, spring burndown + residual, and an in-crop herbicide application. All of these applications need to include multiple sites of action for best results. This fall, before the ground freezes, apply a combination of 2,4-D + Dicamba or 2,4-D + Dicamba + Sharpen for a clean start and improved Marestail control next year. 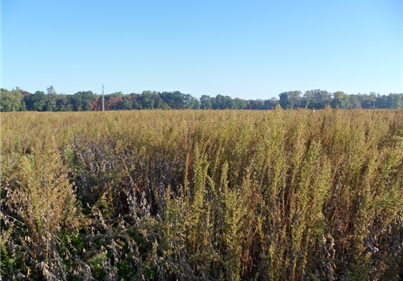 A few Marestail scattered in a field can explode in a year or two if not properly managed.